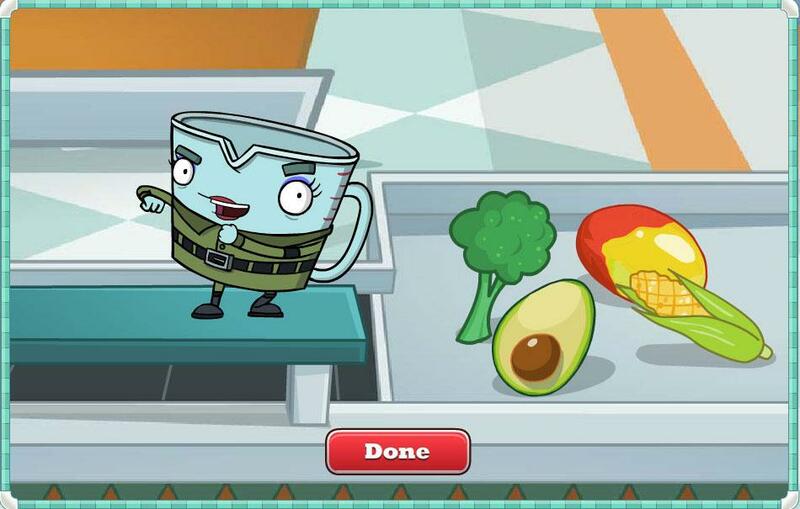 Fizzy's Lunch Lab, a vibrant, fun and kid-friendly web-only series from PBS educates kids about the importance of good nutrition, a balanced diet, and physical activity. 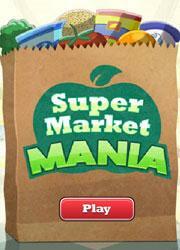 Super Market Mania is a fun game for your older elementary school child that serves to strengthen these lessons on nutrition while practicing reading, math and deductive skills as well. 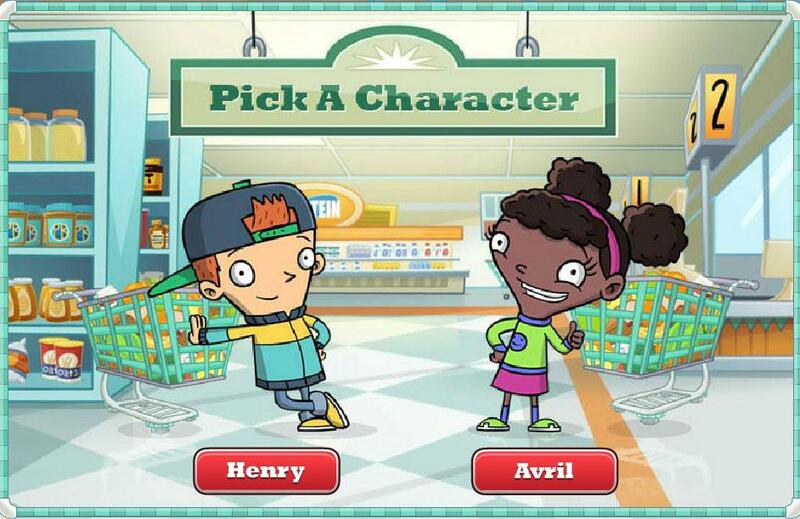 Set in a super market, the fun characters of Fizzy's Lunch Lab, take your child along with them on virtual board game adventure in the super market. There your child moves along in the game with the help of a ticket that they get each time they answer a nutrition question correctly. 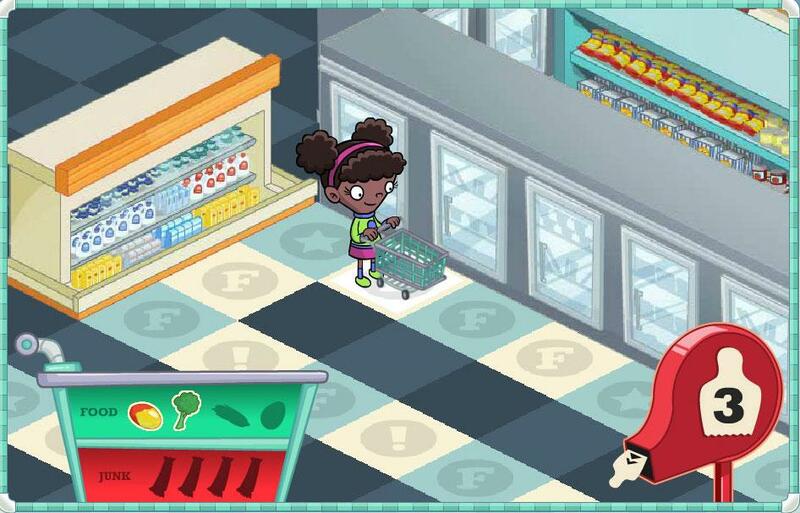 To make the game more interesting, another character with a cart full of junk food follows them around in hopes of beating them to the finish line, in this case, the checkout counter. 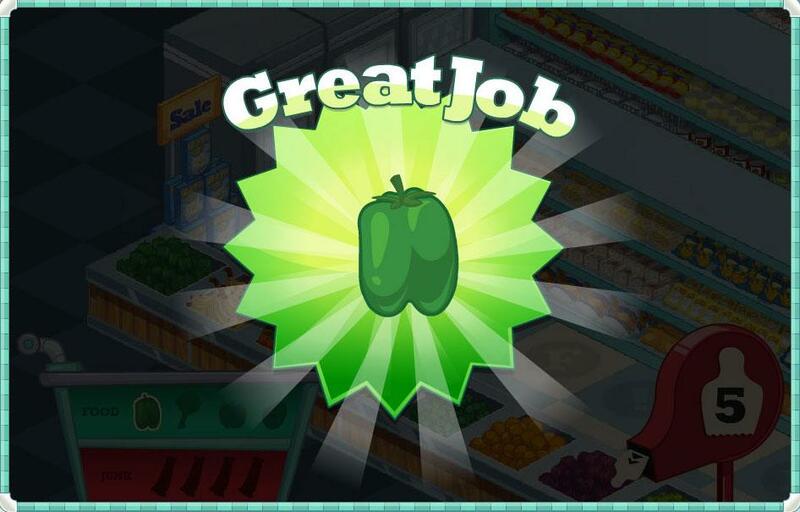 Nutrition- Nutrition is taught in several ways with mini-games within the game. You child will be asked to compare to nutrition labels and identify which item has more calories, less sodium, more sugar and so forth. There is a time element that makes this more challenging. 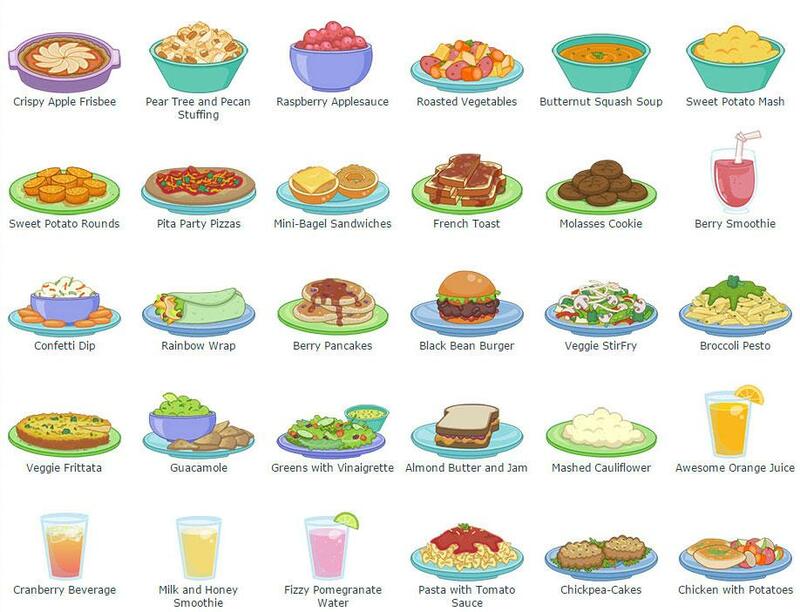 Your child will be asked to identify what food group a food item belongs in. Your child we be asked if certain items come from a factory or farm. As your child answers correctly they will be able to move forward in the board game. By chance sometimes they are asked to move a few steps back similar to other board games. Also, if your child does not answer in the time allotted, they will have to acquire a junk food item. The goal is to get the healthy ingredients for a recipe and not junk food items. Reading- During this game your child has to read food lables and answer trivia questions on food so for younger children we recommend you read along with them. Older children will be able to read on their own. Math/Deduction- When asked which food item has more or less of an ingredient like suhar or salt, your child will have to be able to recognize larger numbers and determine which is greater and which is smaller in comparison. Again we recommend your help out your younger child because this concept might be too difficult for younger children. Mouse Control- To pick the correct answers in the trivia questions and so forth, your child will need to use the mouse and thus strengthens the skill. Encouragement- Throughout the game whenever your child gets the answer right, he is rewarded verbally with "You Won" or "Good Job" statements of encouragement. Extras- You can find offline activities to try with your child that server to strengthen the lessons learned here. In addition you can find a slue of healthy recipes that you can try out with your child here. 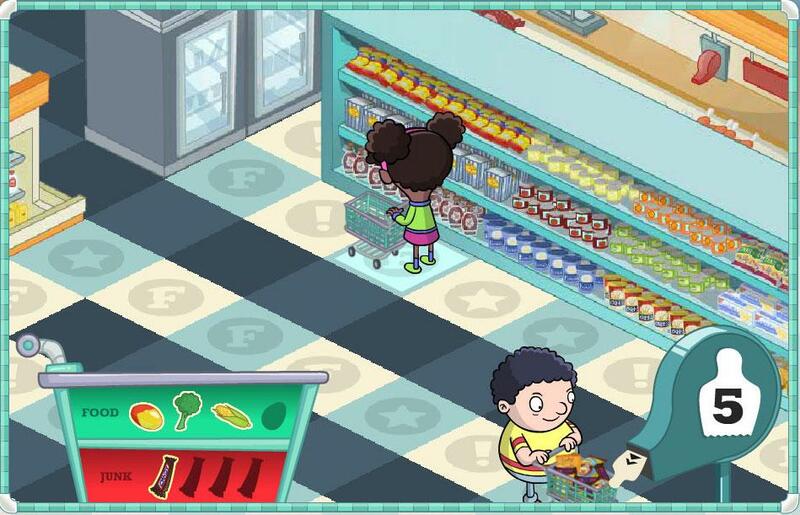 Feb 26, 2015 Based on the lessons of Fizzy's Lunch Lab, Super Market Mania is a fun game for your older elementary school child that teaches nutrition in a fun interactive virtual board game, set in a super market. Read More Be the First to Post a Review!